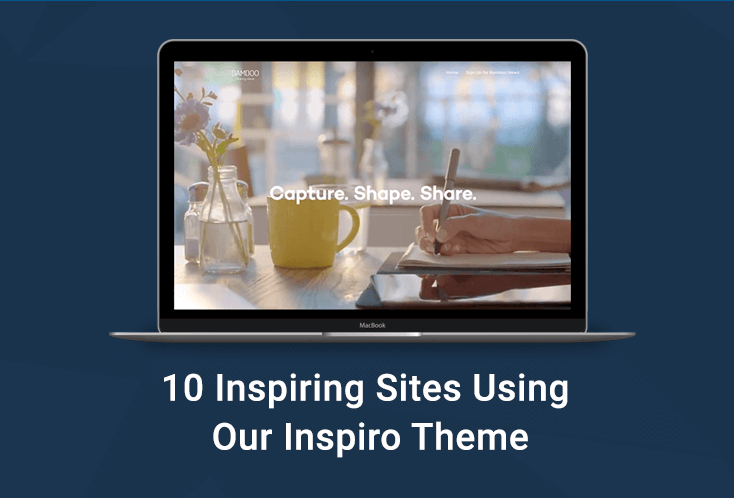 Another day, another BIG update for our Inspiro theme! As you have probably already guessed from the title, the most important change in this version is the ability to create multiple Portfolio pages showing different posts. Until recent versions, this wasn’t possible, and even if you could create multiple Portfolio pages they all showed the same instance of Portfolio posts. 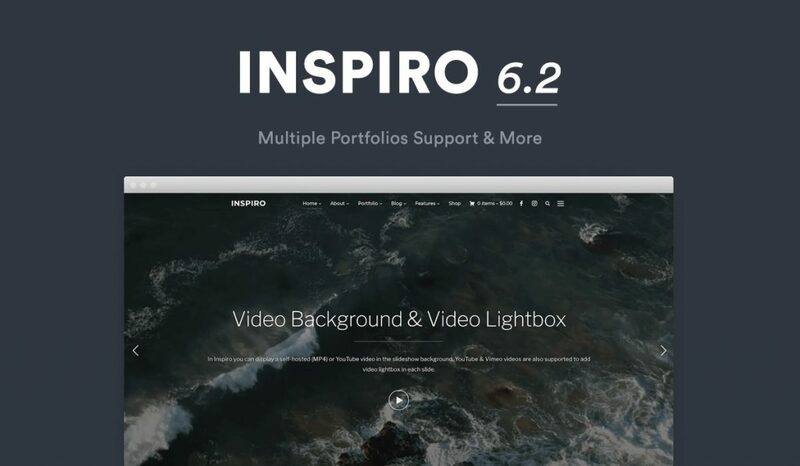 Since this was a very popular request from our customers, starting with Inspiro 6.2 it will be easier to create multiple portfolio pages. 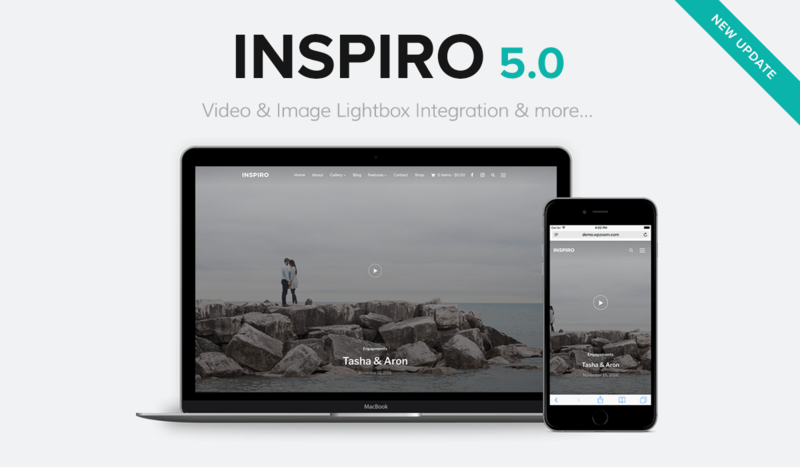 What’s new in Inspiro 6.2.0? In this new version, we’ve added Block Editor support for the Homepage Slideshow caption. With the new editor, you have more control over text formatting and you can even insert additional elements, like multiple buttons. In the above example, we’ve inserted 2 buttons in a Column block with 2 columns. The Portfolio Showcase widget is now even more powerful and offers new possibilities. If you select to show posts from a specific Category, then its subcategories will be displayed in the filter at the top (Thanks to our customer Evan Pierce for this suggestion). This option will try to display the same number of posts in each category as it’s configured in the Number of Posts option from the widget. You can now configure the button at the bottom of the widget (View All) to work as an Infinite Scrolling by loading new posts when clicking it. Let’s say you want to create 2 separate portfolios for your Photography and Video works. For each portfolio, you have to create a new static page and assign one of the 5 available Portfolio page templates. Once you saved or published the new page with a Portfolio template on your choice, a new section called Portfolio Options will appear after a page refresh below the editor. Choose a Portfolio Category from the drop-down and you will now have a nice portfolio showing only posts from that specific category. You can repeat the same steps for every new Portfolio page which you want to create. For best results, make sure to use sub-categories and organize Portfolio posts within them. 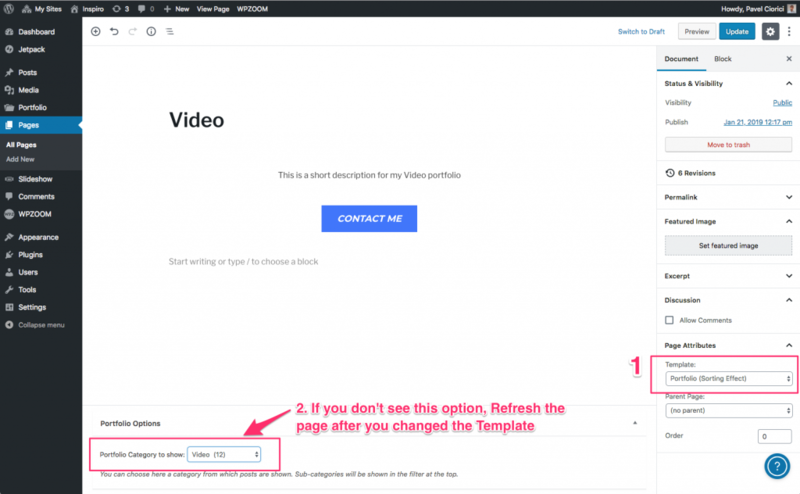 Instructions are similar to previous ones, but in this case, make sure to set the Full-width (Page Builder) template to the new page that you’re creating a portfolio for. 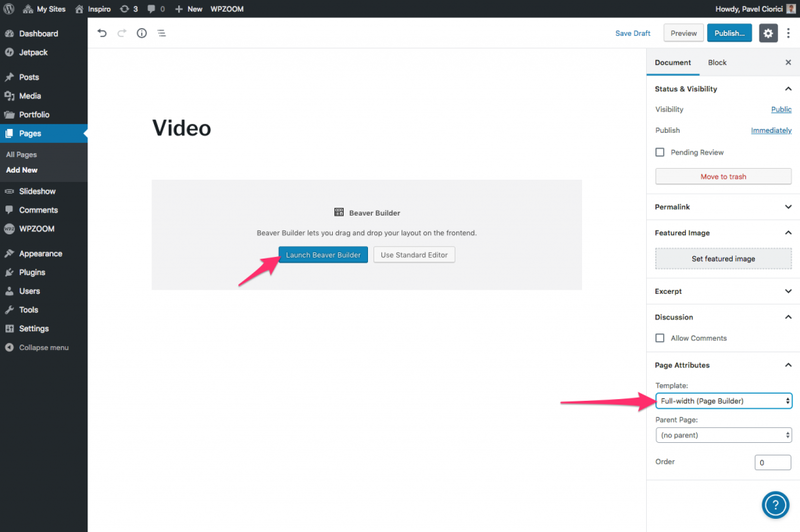 In Beaver Builder you can load the Video template which is included with Inspiro and this will help you save some time to replicate the layout of a Portfolio page. 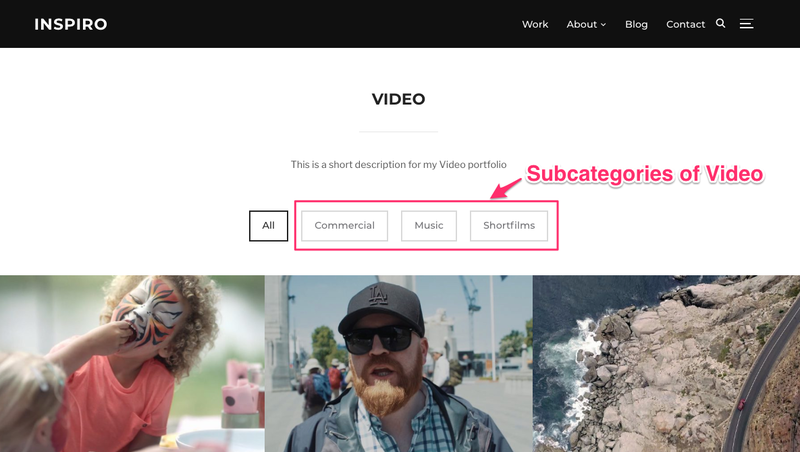 Just make sure to remove the unnecessary sections with other content and keep only the one with the Portfolio Showcase widget. In this article from the theme documentation, you can find more details about using the Beaver Builder. 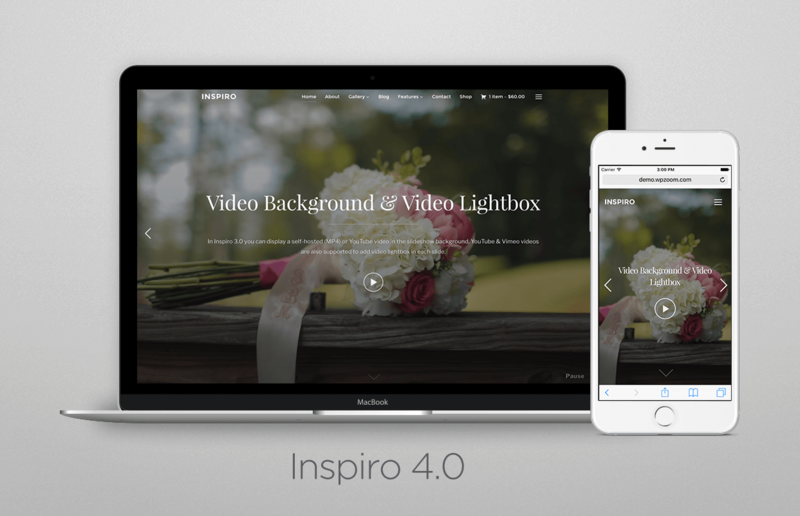 For more information about Inspiro 6.2 theme see the theme page or take a look at the live demo.